At LG Landscapes Ltd we endeavour to provide a high quality landscaping and gardening service to every customer with any budget. From a simple fence repair to a complete garden redesign and build we are happy to help. Contact our professionals in Trowbridge, Wiltshire, regarding our assortment of landscape services. 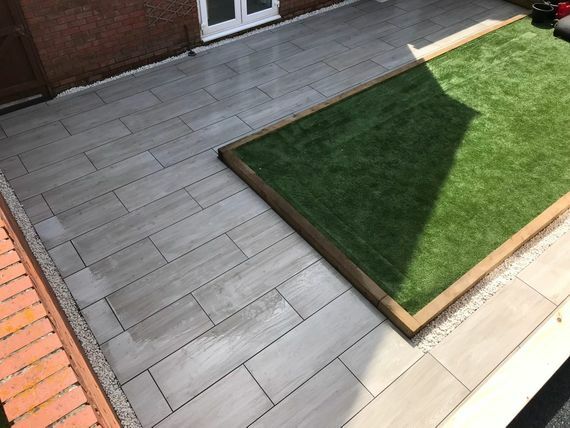 At LG Landscapes Ltd we are committed to assist in the creation of a unique garden, hand crafted to provide creative solutions while we continually strive for excellence and customer satisfaction. We have a vast amount of knowledge and skills in all aspects of landscaping, horticulture and materials with all staff trained to a high standard. Enjoy peace of mind by working with a Bradstone Assured approved garden and driveway installer, backed by the UK’s leading landscaping network supplier. Bradstone operate a strict selection criteria and assessment process, which includes checking of installations, insurance and credit to make sure only the best landscaping professionals are recruited and offered a placement. We’re proud to be members of the Bradstone Assured Paving Installer scheme.